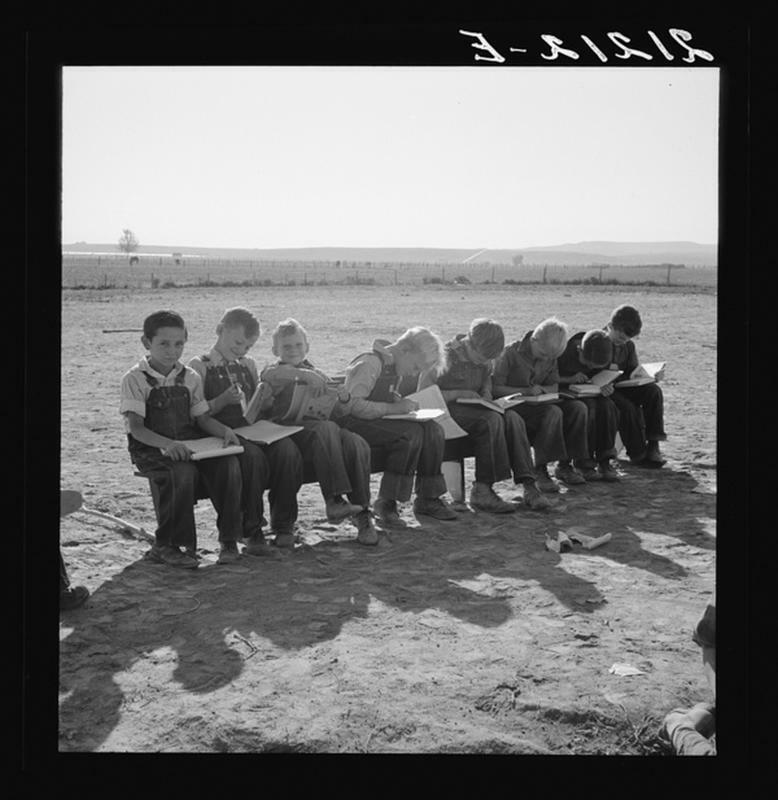 During the end of the Great Depression in 1939, many rural schools held classes outside due to the oppressive heat. 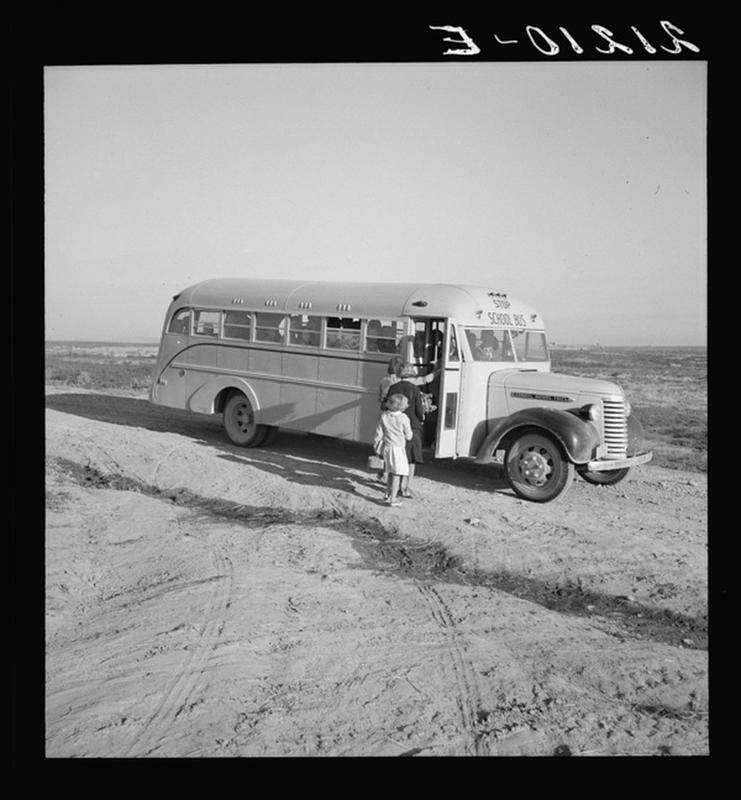 They were more fortunate than most: the county had a bus that went to pick up the kids from the surrounding farms. 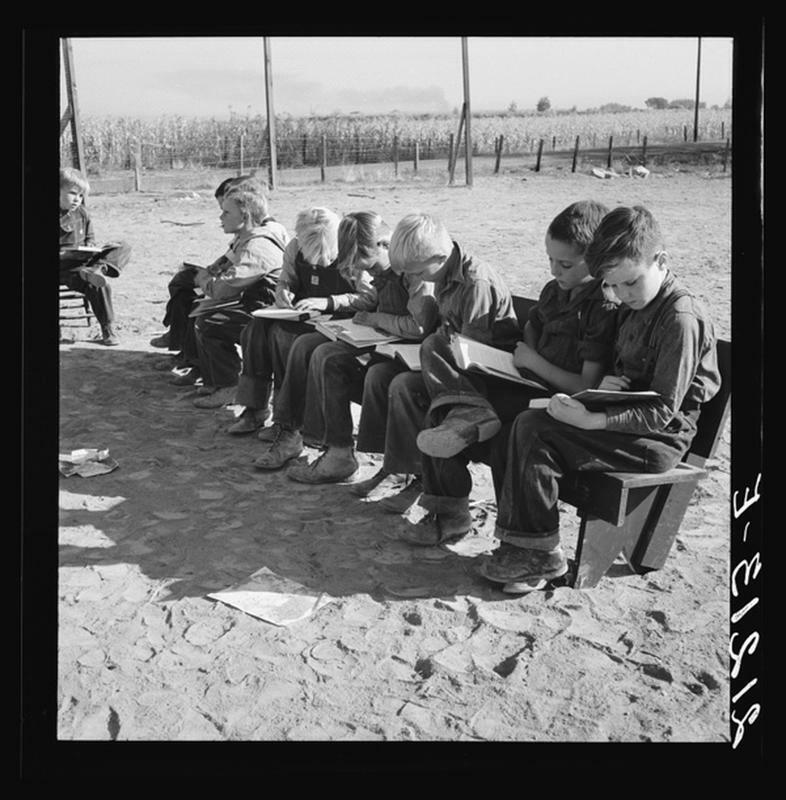 Here's a look at what a day in the life of the enrollment of the Lincoln "Bench School" is like. 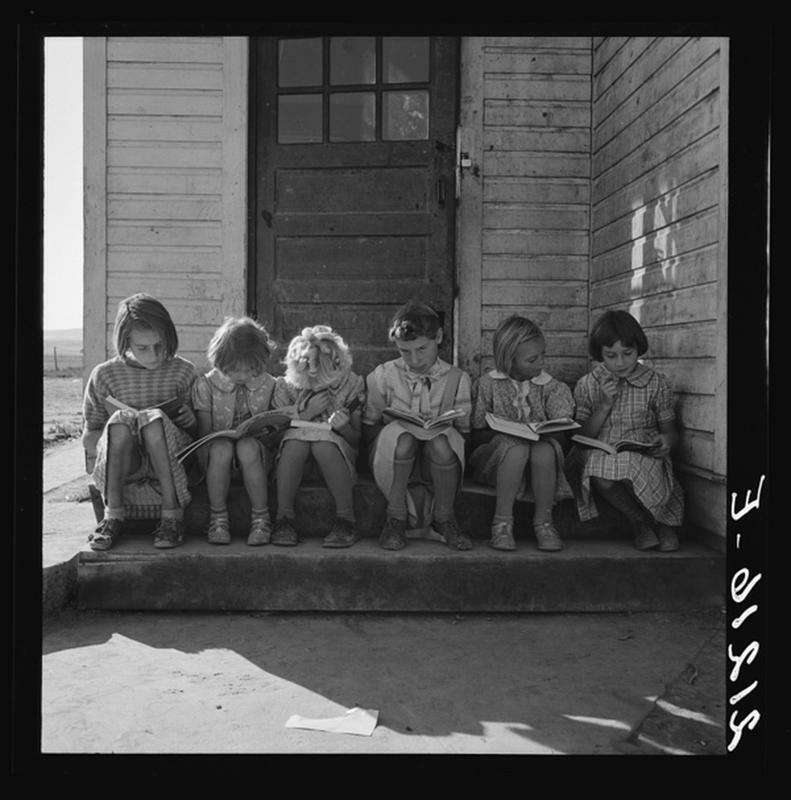 Children get into school bus on a fall morning in 1939. 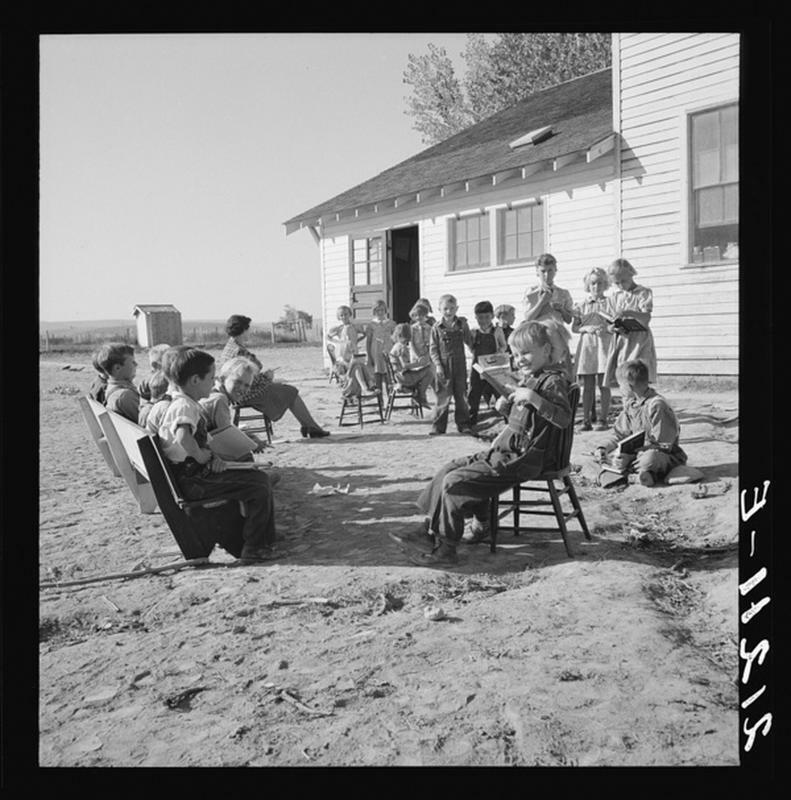 Malheur County, Oregon. 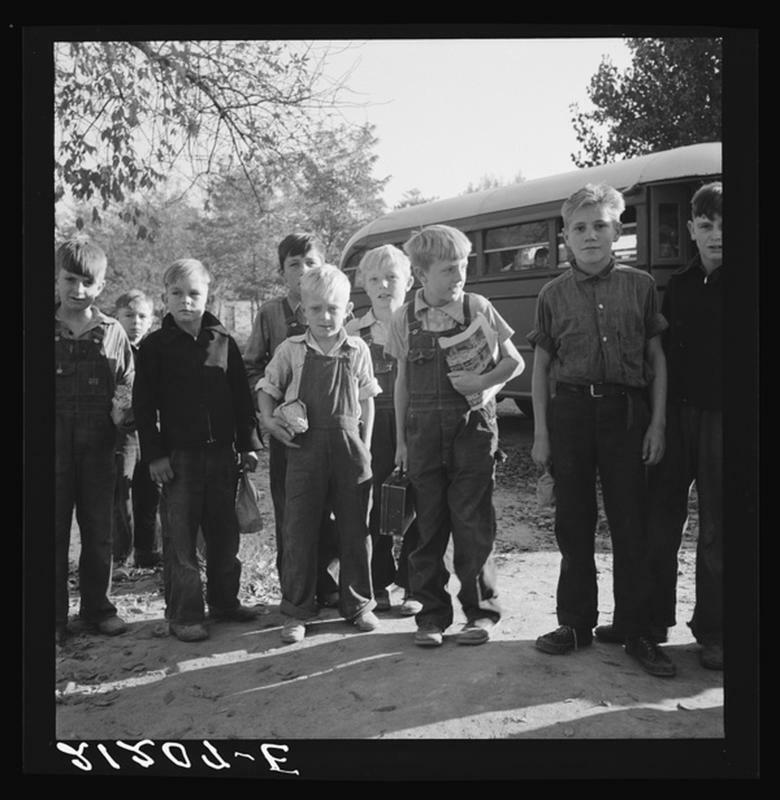 The boys from nearby Dead Ox Flat get off bus at the Lincoln school yard. 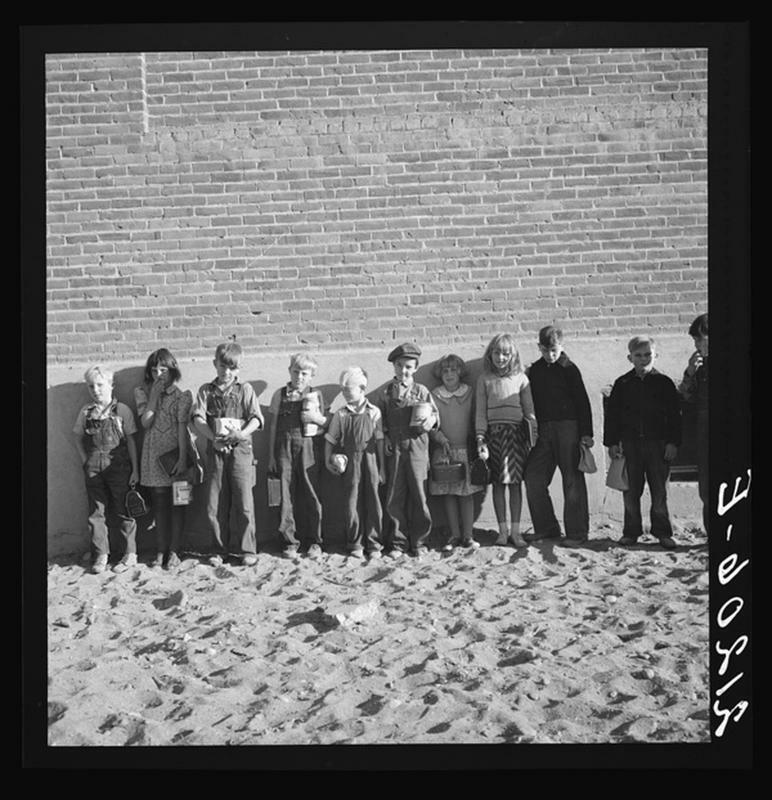 Most of them have brought lunches and supplies - they were better off than many. 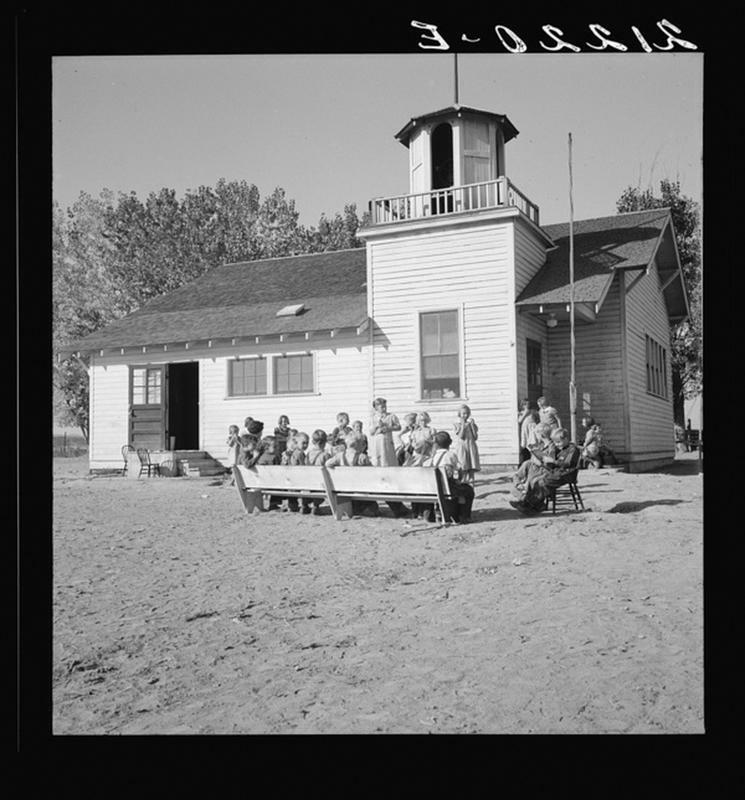 Eight boys at Lincoln Bench School. Born in six different states. Another view of the boys hard at work in their studies. Entire enrollment of Lincoln Bench School. You'll see the teacher in the center. Lincoln Bench School and yard. You can tell that they had a good time some days. 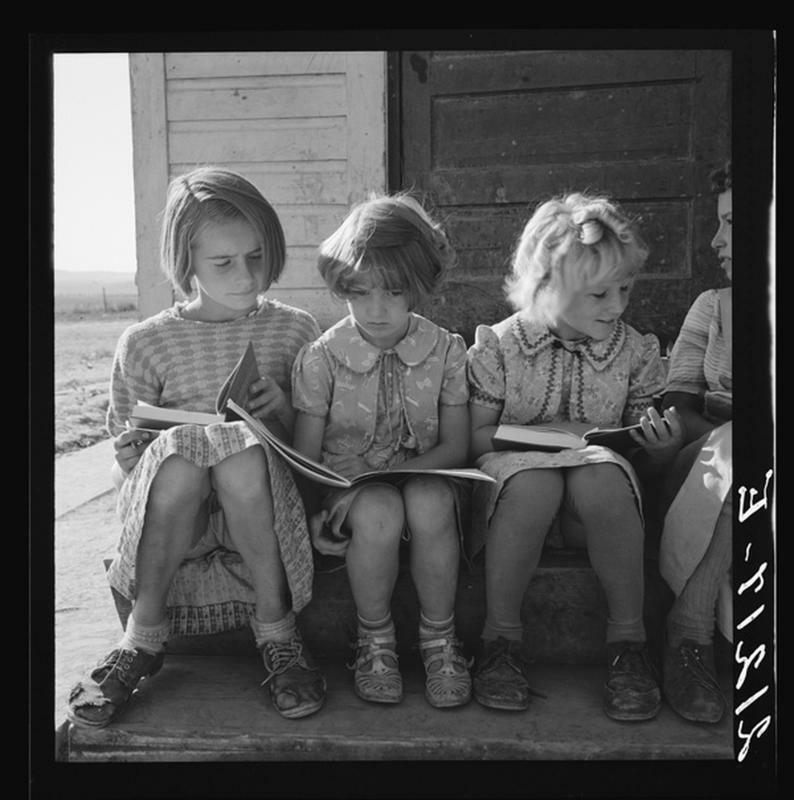 Girls of Lincoln Bench School study their reading lesson. We recognize some of those dresses as flour sack dresses. They spent much of the morning here, but sought out the shade in the early afternoon.